Fundus photography is a commonly performed in-office test used to document many ocular conditions. It is painless and does not involve any radiation. 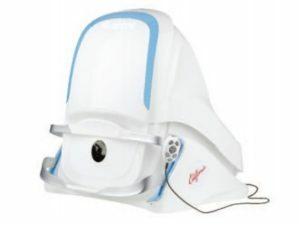 The Optos California fa camera incorporates new hardware and software technology allowing your doctors to see more, discover more and eﬀectively treat more ocular conditions. 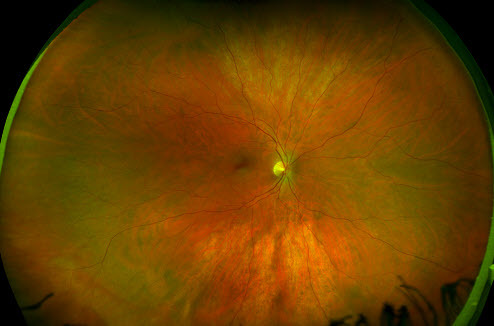 The Optos captures 200 degrees (or up to 82%) of the retina in a single image. Images can be captured in multiple imaging modalities including 3-in-1 color depth imaging (color, red-free and choroidal in a single image), fundus autoﬂuorescence and fundus fluorescein angiography.